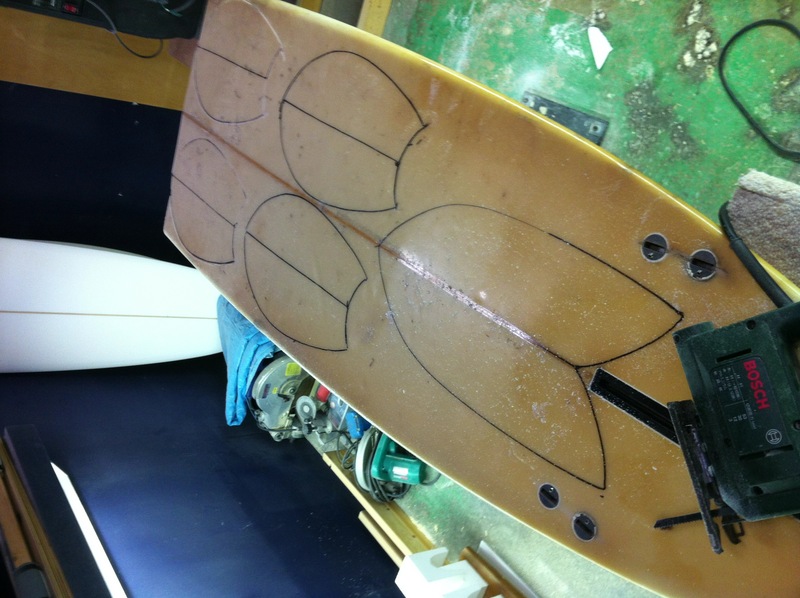 The very beginning of Mabo Handplanes goes way back started of when I started bodysurfing at age 10 when my father, who was an avid bodysurfer from Jones Beach NY showed me how when we lived by Zaimokuza Beach in Kamakura. 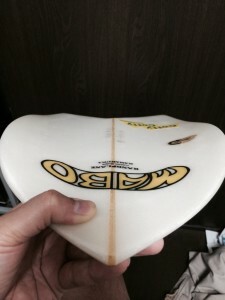 It was pretty natural for me to go few steps ahead and took on surfing at age 14 and ever since I have been enjoying riding polyester surfboards in Shichirigahama beach in Kamakura. 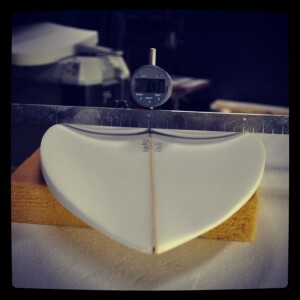 Custom shaped handplanes came to life after posting a picture of my surfboard broken into 2 pieces up on Facebook saying “Maybe I should make handplane from this”. 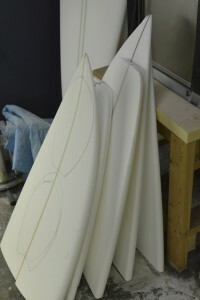 seeing this post a long time mentor of mine from KKL Japan offered me to use his shaping bay and all the tools during the weekend!! 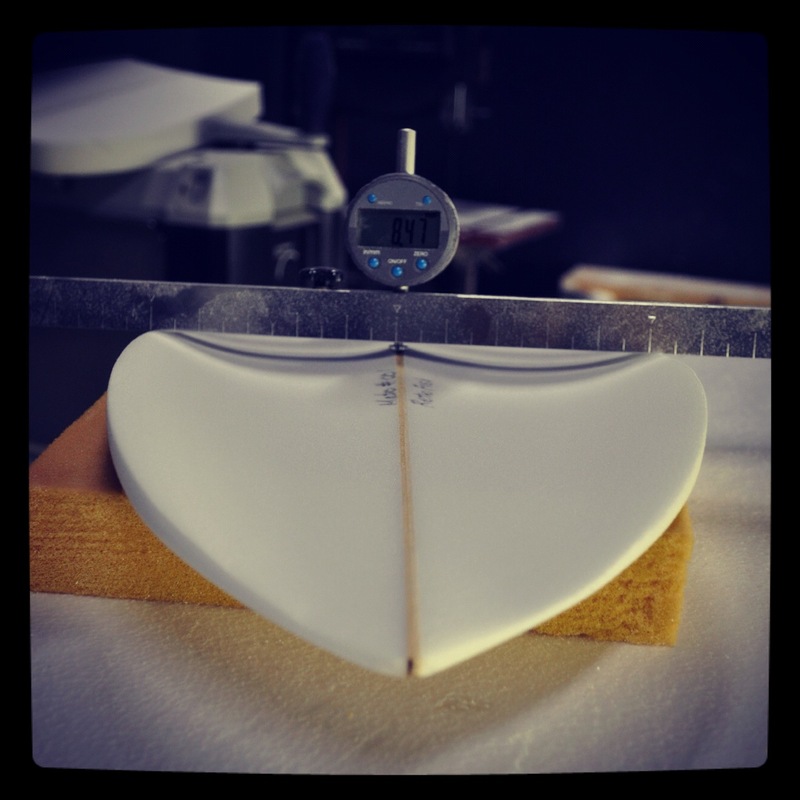 Even today Mabo Handplanes are custom shaped in a shaping room within KKL Japan factory. Model 3D RetroFish under digital dip gauge. -Where are the materials coming from? 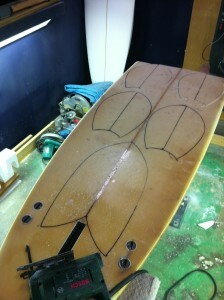 Giving birth to 5 handplanes from a longboard that has fullfilled its duty.